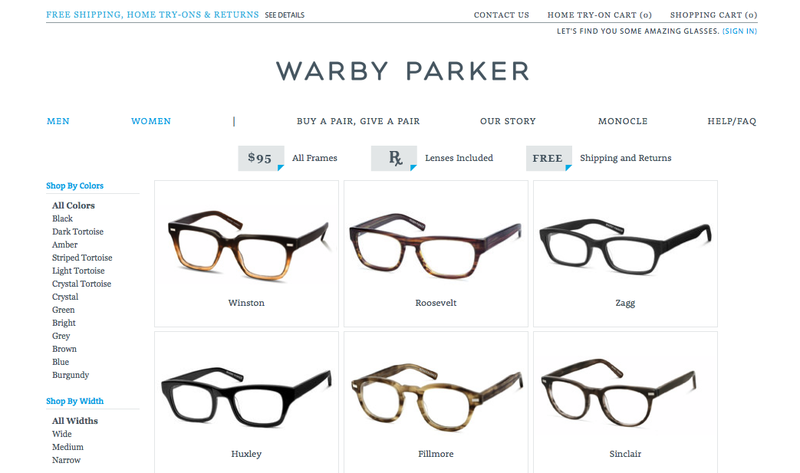 Site Name and Description: Warby Parker. Online prescription eyeglass store specializing in low cost and high-style “geek chic.” Offers a five glasses/five days home delivery option. Pair of glasses donated to someone in need for every pair purchased. “Look Good/Do Good” Incentive. The base site is in English. Appear to only offer free-shipping in U.S.
Design Overview: Clean, minimalist design showcases the glasses, which are offered by color, frame, and face shape. The site utilizes white space well with only two highlight colors, charcoal and cyan. The mood of the site matches the geek-chic feel of the glasses with a few tongue in cheek photos. 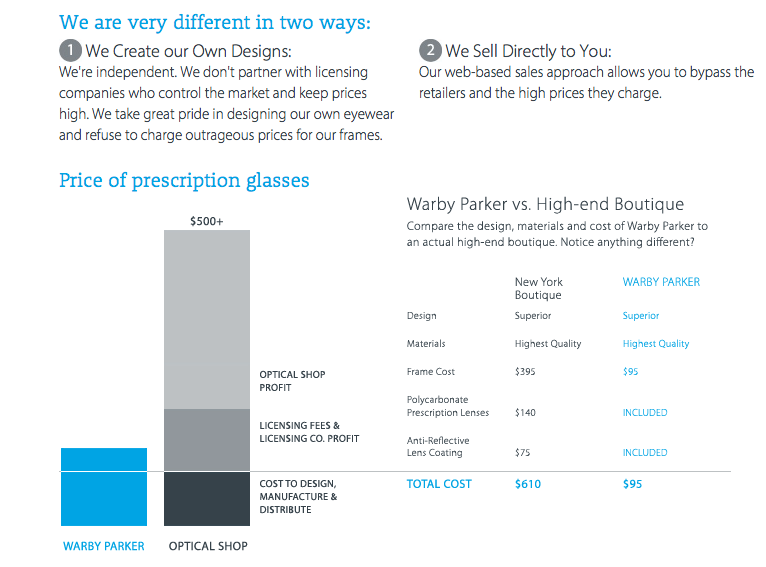 Business/Site Goals: Sell prescription eyeglasses and sunglasses through the site at a competitive price as compared to traditional retail stores. Social Media Integration: There is a connect with us option on the bottom right hand corner for Facebook and Twitter. Technologies Used: no file name. HTML assumed.